Hospice care is for people who can no longer benefit from regular medical treatment and are likely in their final months of life. Instead of continuing to try curing or delaying the fatal disease or condition, hospice ends curative treatment altogether. Instead, its goal is to control pain and other symptoms and make the patient’s last stretch of life as comfortable as possible. This is known as palliative care, which is often part of hospice care but isn’t the same thing as hospice care. Patients who are still receiving aggressive curative treatments can also receive palliative care to address pain or other issues of comfort during that time. Hospice can result in a significant improvement in the patient’s quality of life with a focus on the person rather than the disease. Hospice care can be received at home; someone can also receive this end-of-life care in a hospital, nursing home or private hospice facility. To qualify for care, a patient must typically be diagnosed with a medical condition likely to cause death within six months or less. Hospice care isn’t necessarily continuous, and a patient may switch into and out of it as a medical condition improves or deteriorates. For example, if a patient is in hospice care and goes into remission — a period of relief from the symptoms of an illness — the hospice care can be stopped and resumed again if the symptoms reoccur or the condition gets worse. Hospice services offer physical, emotional, spiritual and practical comfort and support to patients and families who are facing death — at home, in the hospital or in other settings. The specific type of care and service hospice provides differs depending on individual needs and preferences but may include the following. If a patient requires elaborate medical care and monitoring, hospice care may be given in a building dedicated to hospice or in a hospital or skilled nursing facility, generally in specific rooms or wards decorated with touches such as curtains and couches to lend a more homelike feeling. In hospice facilities, the usual rules for visiting hours and mealtime schedules are relaxed. Visitors are generally free to come and go as they wish, and meals are often family favorites. Again, the aim is to make the patient feel as comfortable and cared for as possible. Hospice care can also be provided in the patient’s home. If your loved one’s symptoms are controlled, care can be delivered by visiting nurses, social workers, aides and counselors as needed. If symptoms can’t be controlled or the patient experiences severe distress or pain, continuous nursing care may be required. In some cases, hospice nurses provide around-the-clock care at home. Hospice care is typically a team effort, combining the talents and training of doctors, nurses, social workers, counselors, home health aides, clergy, therapists and trained volunteers. The hospice agency will typically assign a case manager to ensure all care needs are met and to coordinate the comings and goings of all involved, which is especially important if the care is at home. If you or any family members are able, you can be responsible for much of the hands-on care, such as administering medicines and changing dressings. If you or family members aren’t equipped to do this, hospice workers may help secure other caregivers take over or contribute to the work. There are four levels of care provided by hospices in the United States. A hospice patient can move from one level to another and back, depending on the services required to fulfill his or her needs. A patient will be placed at this level of care if he or she resides at home (or a long-term care facility) and doesn’t have symptoms which are out of control. Out-of-control symptoms could include — but aren’t limited to — severe pain, continuous nausea and vomiting, bleeding, acute respiratory distress or and unbearable restlessness or agitation. A hospice patient may require inpatient care when symptoms have gotten out of hand and can no longer be managed at home. Hospices take aggressive actions to control the symptoms and make the patient comfortable. To do this, the patient may be temporarily placed in a hospice home or an acute care hospital. At this level of care, a moment-to-moment assessment of what’s happening and what needs to be done takes place. The hospice team and the patient’s physician work together to ensure the patient obtains and maintains a tolerable comfort level. Once this has been achieved, the patient will return home and back to routine home care. A patient may be moved to respite care when the caregiver needs a break. Respite care allows a patient to be temporarily placed in a facility with 24-hour care so the family can rest. If the patient is willing and the family requests it, hospice must provide placement in a facility or a hospice home for the patient. The patient will be transferred to the facility and, according to Medicare regulations, can stay for up to five days before being transferred back home. A patient would receive continuous nursing care if symptoms are out of control but the patient chooses to stay at home. This is similar to inpatient care, except the patient remains in his or her home instead of being placed in a facility. A hospice nurse is required to provide continuous around-the-clock care if the symptoms cannot be controlled while on routine home care. According to the Hospice Patients Alliance, there is only one exception to this requirement: if the hospice has fewer than seven employees, is in a rural or nonmetropolitan area and does not have the staff to provide continuous nursing care in the home. 1. The hospice team collaborates with other health care professionals to coordinate treatment and care. That includes existing care providers, which allows your loved one to remain with doctors and other professionals they are already comfortable with. 2. Hospice helps build a support system to meet the needs of you, your family and your loved one. The hospice team helps you monitor changes in your loved one’s condition and put the appropriate interventions in place. 3. The hospice team visits your loved one anywhere they call home. That includes a family home, an assisted living facility or a nursing home. Hospice comes to you so your loved one doesn’t have to deal with appointments or traveling. 4. Medications related to your loved one’s terminal illness are covered. Depending on your loved one’s terminal diagnosis, she may be on several medications. Hospice will cover these medications and may even review your loved one’s medications to see if they’re all still beneficial at this stage in the disease. 5. Medical equipment is provided if it’s related to your loved one’s terminal illness. For example, if your loved one is having increased difficulty with walking, he or she may get a wheelchair or walker through hospice. 6. Hospice provides different levels of care to help manage your loved one’s symptoms. Every person’s disease process is different, and hospice is prepared to care for your loved one in many ways throughout their various levels of need. 7. Your loved one has access to a comprehensive team that addresses his or her physical, mental, emotional and spiritual needs. Each hospice team will include a nurse, nursing assistant, social worker and spiritual care specialist, each addressing the comprehensive needs of both you and your loved one. 8. Hospice provides bereavement follow-up for you and your family. A bereavement counselor can help you and your family if you want additional support, including one-on-one meetings, support groups and periodic calls to see how you’re doing. A major fear people have of dying is that they’ll be in pain. Hospice eases that fear by providing palliative care with an emphasis on pain control. The main objective is to relieve symptoms that interfere with one’s quality of life. Hospice manages emotional and spiritual pain in addition to physical pain. By using a combination of medications, counseling and therapy, hospice has a very high success rate of easing a patient’s pain. Some families worry about their loved ones being so drugged that they are unable to communicate or are unaware of what’s happening. Although this can happen, it’s rare. 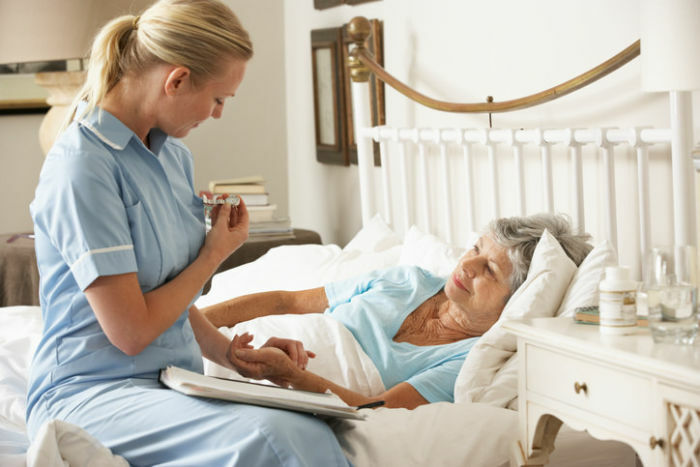 Fortunately, hospice nurses are capable of providing strong medications and high dosages that will provide comfort without impairing the patient’s alertness. How does hospice work once someone chooses it? If a patient and their doctor agree that hospice is the right choice, families can help the patient choose a hospice agency. The doctor or a hospital or nursing facility discharge planner may recommend one. If the patient lives in a senior residence, an assisted living or a long-term care facility, the facility can recommend one or more hospice agencies. You can also check our local guide to find out about all nearby hospice agencies or contact your state’s hospice association; you can get the number from the Hospice Association of America . Once a patient chooses a hospice agency, they must formally enroll in it. The agency handles all the paperwork. If the patient isn’t physically or mentally able to give consent, enrollment must be made by the person who has power of attorney or other authority over the patient’s health care decisions. The hospice agency begins by setting up a care plan. This includes discussions with the patient and with any family members or others who will be regularly providing full-time care. There’s usually a flurry of activity when the hospice agency first gets involved, with various hospice staff visiting the patient and assessing needs. Then, a regular routine is established, with one or more aides visiting on a schedule. This schedule changes as the patient’s needs change. 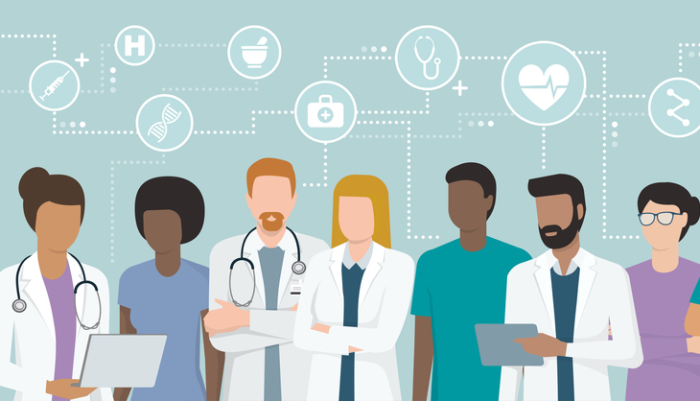 It’s important to speak up about things you like and don’t like about the care a patient is receiving, including asking the agency to send (or not send) one aide or another if the patient develops a strong preference. You may even switch to another agency altogether if you or the person you’re caring for isn’t satisfied with the hospice care being received. While palliative care addresses patients with life-threatening illnesses, anyone — regardless of life expectancy — can receive this type of care. Hospice, meanwhile, provides for patients who can no longer benefit from regular medical treatment, per a doctor’s determination, and are in the last stages of a terminal illness. Palliative care programs generally address the physical, psychosocial and spiritual needs and expectations of a patient with a life-threatening illness, at any time during that illness, even if life expectancy extends to years. Palliative care does not preclude aggressive treatment of an illness. The goal of hospice care is to keep pain and suffering of a person with a terminal diagnosis to a minimum and not to cure the illness. While Medicare, Medicaid, most private insurance plans, HMOs and other managed-care organizations provide hospice coverage, Medicare or Medicaid does not currently cover palliative care. Some private insurance companies cover the costs of palliative care, but it is important for you to ask the palliative care provider how or if the services will be covered and what, if any, costs you will be asked to pay. Even so, hospice bills can easily run several thousands of dollars or more if care is required for more than a few months. 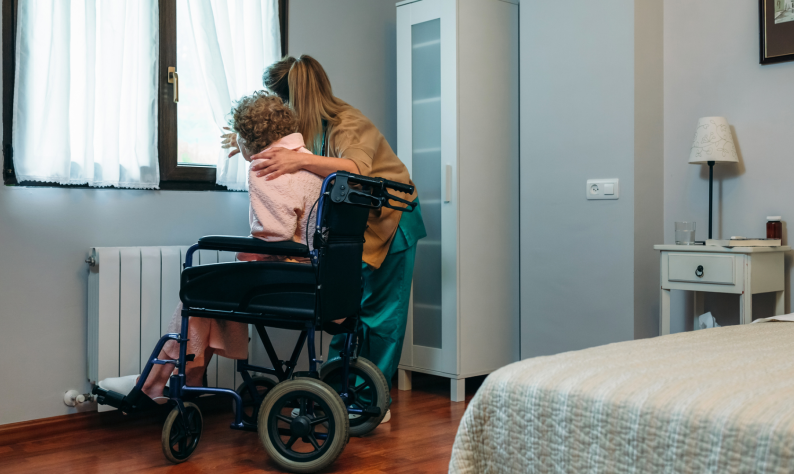 While some of the costs must be paid with personal family assets and insurance, at least initially, the vast majority of hospice care bills are currently paid by Medicare. In some locales, church and religious groups offer volunteer services and money for those who can’t afford to pay for hospice care on their own. In addition, those with limited income and financial resources may qualify for through the Medicaid program. And still others receive financial assistance through programs offered by specialized groups, such as the Veterans Health Administration, Civilian Health and Medical Program of the Uniformed Services or Indian Health Services. Hospice care is currently given in benefit periods. A benefit period starts the day you begin to get hospice care, and it ends when either your 90-day or 60-day period ends. Medicare allows for two 90-day benefit periods with an addition of an unlimited number of 60-day benefit periods. At the beginning of each period, a hospice doctor or hospice medical director must certify the terminal illness again so that hospice care can continue. The patient must sign a statement choosing hospice care instead of standard Medicare-covered benefits related to the terminal illness. Medicare will continue to cover health problems unrelated to the terminal illness, though. 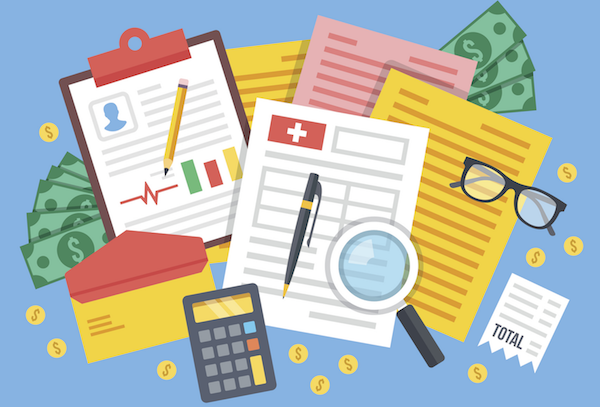 Managed Care policies cover everything that Medicare covers. Most policies cover hospice care and services provided by Medicare-certified hospice agencies that are designated by the individual insurance company. States establish and administer their own Medicaid programs. Each state determines the type, amount, duration and scope of services within broad federal guidelines. They are required to cover certain “mandatory benefits” and can choose to provide other “optional benefits” through the Medicaid program. Hospice benefits are considered optional state plan services. Sign a statement choosing hospice care instead of standard Medicaid-covered benefits (Medicaid will continue to cover health problems unrelated to terminal illness). Medicaid typically only pays for hospice care provided by a Medicare-certified agency. Homecare Only and Comprehensive policies usually cover the costs of hospice care, while Facility Only policies generally do not. Because of potential limitations on hospice care coverage, it is important to carefully compare policies when selecting long-term care insurance. Veterans benefits do cover hospice care. The veteran must meet eligibility criteria for VA benefits and demonstrate need for this type of care. As with other payors, this is typically demonstrated by a doctor determining hospice care is required. Determining the appropriate hospice care you or a loved one requires at the end of their life may seem like a daunting task to take on during an already difficult time. One of the first things to remember when beginning your search for hospice care is to realize hospices are first and foremost businesses, and while a well-intended business, they want yours. That said, it’s important to ask questions and get answers before committing to anything. Differences between hospices are often hard to determine as they tend to provide similar services. 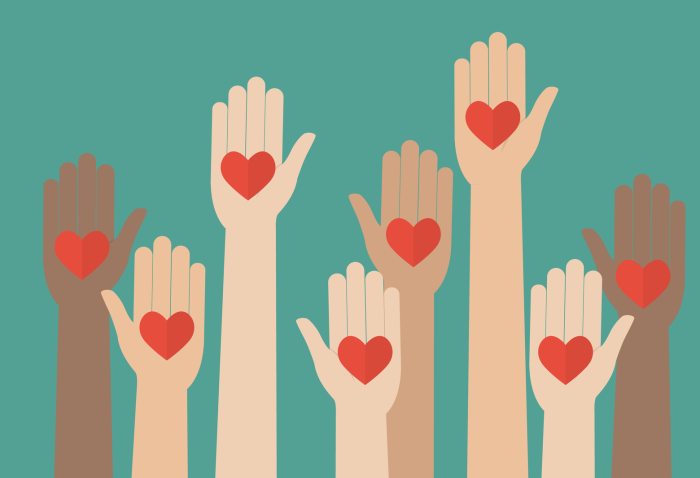 While memberships in state hospice organizations and The National Hospice and Palliative Care Organization (NHPCO) may sound impressive, these are available to any hospice. In addition, it’s a good idea to verify whether the hospice is Joint Commission Certified, which means it has met a higher standard set by the Joint Commission on the Accreditation of Healthcare Organizations (JCAHO). Hospices voluntarily submit to receive this certification; when they receive it, you can rest assured they are truly excellent. What does matter is that a hospice is Medicare-certified, since Medicare provides the baseline requirements for quality care. To qualify for Medicare certification, hospices must offer 16 separate core and auxiliary services. Core services include bereavement counseling, nutritional services and doctor services. Continuous homecare, physical therapy, medication administration and household services are all examples of auxiliary services. Also important is whether a hospice will accept your insurance. First, find out who owns the hospice agency you are considering and what the owner’s background is. Is the hospice service nonprofit, for profit or government operated? 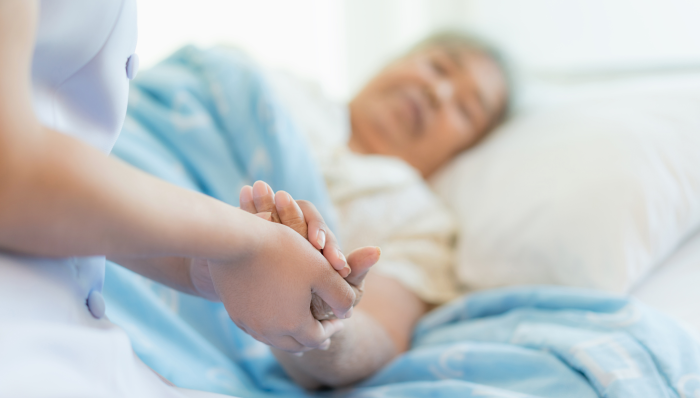 The type of ownership may influence the services a hospice patient receives. And talk to the administrator when contacting a hospice. Let’s face it, the administrator has the authority to say yes or no to anything the hospice office assistant or hospice employer has promised you. If you’ve found a hospice that meets your needs, make sure it is the home office, rather than a branch. Generally, the nurse who resides at the home office has access to the person in charge. Branch offices usually do not have employees who make financial or business decisions. Finally, before choosing a hospice, find out where the on-call nurse lives. If the nurse lives far away from the patient requiring hospice care, the response time will take longer. You can start your search for hospice care in our Hospice Care Directory at the top of this page or by clicking on one of the metropolitan areas below. After you’ve compiled a shortlist of hospices, it’s important to interview each one to determine if a particular hospice meets your needs. Compile a list of questions to ask the hospice administrator. Here are some questions to get you started. How long has the hospice in existence? What services does the hospice program provide? How often will a nurse or other hospice staff visit? Does the hospice have any accreditation? What quality standards does the hospice meet? How are home caregivers trained? Because of the association with end of life, talking about hospice sometimes causes families to become anxious or grieved. While this is natural, it’s important to push through to have these discussions with your family and medical providers. Hospice can be a very positive experience during a season of life when every day matters, and outside help can help improve quality of life and relationships.